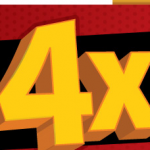 ALDI $50 Gift Certificate Giveaway! 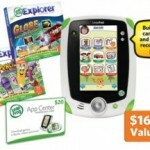 You are here: Home / giveaways / ALDI $50 Gift Certificate Giveaway! Did you know that using ALDI exclusive brands can save you up to 50% on more than 1,400 commonly purchased grocery items? We could ALL use extra cash in our wallets, especially during the holidays! 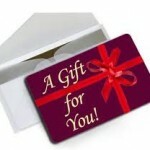 NOTE: Both Gift Certificates have been generously provided by ALDI as a gift for my readers. Gift certificates will be sent directly from ALDI. I am not being compensated for this post in any way. I’m just happy to be able to provide this opportunity to my readers and I happen to love ALDI, too! 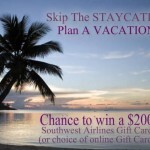 GIVEAWAY: $200 Southwest Airlines gift card! 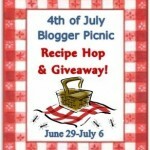 GIVEAWAY: 4th of July Recipe Hop and $60 Amazon Gift Card giveaway! I love Aldi’s and would love to try the pecan pretzels. I just did a weeks worth of shopping at Aldi for 70.00. That store is awesome. The holiday chocolate is super yummy. I found a few recipes I would like to try! One of them is the White Chocolate Raspberry Muffins! I have never tried shopping at Aldi, but would love to give them a try we have a few in the area, and one that just recently opened up! Thanks for doing this giveaway! I would like to try the Hazelnut hot chocolate. Spinach and Artichoke bread sounds delish! Mmm hazelnut hot chocolate please! I could really use this! This would be awesome! I want to try the spinach artichoke bread…I love spinach and artichoke anything! pecan pretzels all the way! 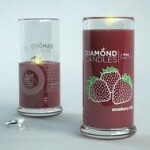 Love your site and Aldi! The White Chocolate Raspberry Muffins sound divine!! The Pistachio Lemon Truffles sound so good. Definitely the white chocalate raspberry muffins! I would love to try the twice baked sweet potatoes. I love sweet potatoes! Decadent hazelnut raspberry coffee cake. Ahh, i love Aldi’s! I would LOVE to try the White Chocolate Cranberry Blondies!!! The cookie pies look fun! Mini Chocolate Eclairs, yum yum. Any of the recipes look wonderful but I’m a sucker for a good dessert recipe. Roasted Cauliflower with Cranberry and Crispy Onion! I just recently started shopping @ Aldi’s. I would love to try the Party Poppers. Everything is better w/ bacon, Right? Thanks for the opportunity and the giveaway. Merry Christmas! I would like to try the Cranberry Cornbread Stuffed Turkey Roulade. I would love to try the Caramel Apple Bread Pudding. I think the spinach artichoke bread would be a big hit! I’m with Sheralle D. above : that Caramel Apple Bread Pudding sure sounds FABULOUS! I’d also like to try the Whiskey Lamb Shoulder Roast and the Endive Leaves with Gorgonzola & Walnuts – to name a few! the White Chocolate Raspberry Muffins! I’d love to get the cocoa dusted truffles. We had them at our holiday party, but they were gone before I got to get a try. I’d like the spinach artichoke bread. I’d like to try the Party poppers. I’d like to try the cranberry shrimp ceviche cups. So many to try I don’t want to pick just one! I’d like to try the Island bird! LOVE Aldi! I especially love their hormone free sour cream…could eat it with a spoon! I would like to make the carmelized onion dip. Oh I would love to try their recipe for Green Bean Casserole Quiche Bites! Those look so interesting! I love Brie so I would like to make the baked brie cups with sugared cranberries. I think the Spinach Artichoke bread would be yummy. A great twist on the spinach artichoke dip thing. I would like to try the spinach artichoke bread. Yum! Im going to go with the party poppers. I’d love to try the Spinach Artichoke bread. My family LOVES it!! I love Aldi’s! Such great bargains. I would love to try to make their spinach artichoke bread. I love Aldis, bought all my holiday baking supplies there! The Butternut Squash & Cranberry Couscous looks tasty…my kids LOVE couscous! The Butternut Squash & Cranberry Couscous looks tasty. the Sunsantial Salad looks so good! I’d like to try the Individual Au Gratin potatoes.